Since 1933, The Story About Ping has captivated generations of readers, but never before has it been available in a mass-market paperback format. No one can deny the appeal of the book's hero, Ping, the spirited little duck who lives on a boat on the Yangtze River. Ping's misadventures one night while exploring the world around his home form the basis of this timeless classic, which is brought to life by Kurt Wiese's warm and poignant illustrations. Marjorie Flack first got the idea for her classic story from her first book, written by her friend Helen Lomen. The Peking ducks in Angus and the Ducks so intrigued her that she began researching them. 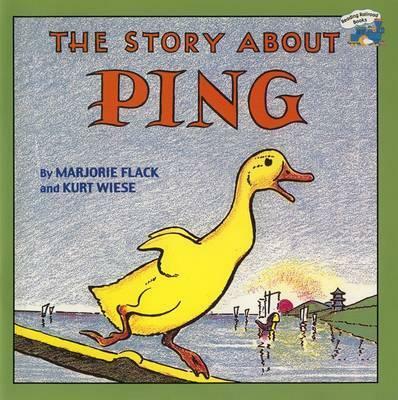 The Story About Ping was the result. She went on to write and illustrate many more children's stories, including Boats on the River, illustrated by Jay Hyde Barnum, which was named a Caldecott Honor Book. Ms. Flack died in 1958. Kurt Wiese illustrated almost three hundred books for children. Books he both wrote and illustrated include You Can Write Chinese and Fish in the Air. Both stories were named Caldecott Honor Books, and reflect his experiences as a traveler in China where he lived for six years. Mr. Wiese died in 1974.